It is a rude world we are living in today. The role models and the experiences that kids are exposed to in politics, sports, TV and in the park and playground are sadly more often rude than kind. Kids are not born with an ability to be respectful, and so it is important for parents to teach respect. In my work as a speech therapist for over 30 years, I have often told parents that a respectful child is more important than an academically successful one. Don’t just roll your eyes or ignore disrespectful behavior such as interrupting, being rude or unkind. This starts in the family unit. Kids learn respect by watching their parents and by learning to respect siblings, parents, pets, and household items. Teach your kids over and over again to always say they are sorry. This doesn’t happen overnight and you need to keep at it. Take the time to sit down with your kids and role play rude behavior, such as interrupting or being unkind. Kids really get the message when their parents are asking them to display the negative behavior. Take time to talk with your kids about their feelings when they are not listened to or when they are treated rudely. Share your feelings as well. Then role play the opposite - being kind and polite. Practice giving each other compliments in your family every day. 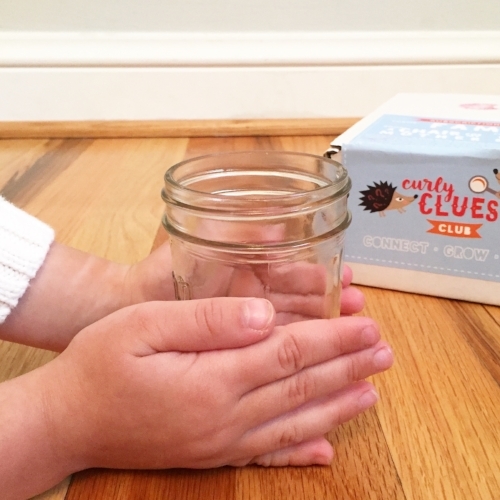 Use the Kindness Jar as a strategy (included in Curly Clues Club Family Box). Talk about the negative but praise the positive behaviors you see in your children. Write down simple rules for your house for respect and post them on your refrigerator. Talk about the consequences when rules are broken. Make goals for family respect and talk once a week about how things are going. Parents and children should get equal input here. Use feeling words to describe how you felt: Happy, Sad, Disappointed, Forgotten, Joyful. Make being a respectful person a No. 1 priority in your home. It can be frustrating at times but in the end your child will be happier and more successful in life.